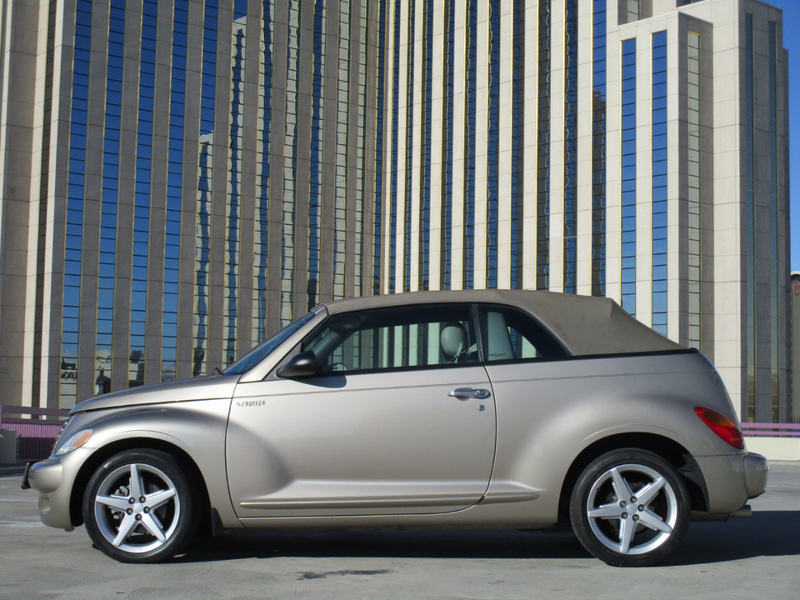 This 2005 Chrysler PT Cruiser GT Convertible is a real sweet driver. It has a 2.4L turbo engine with 4 cylinder high output, with automatic transmission. Front wheel drive, power windows, power steering, air conditioning, heated seats, power top. Beautiful light gold leather interior, and gold exterior paint is in great condition. It has an upgraded, after market, KNN cold-air intake. (Also, comes with the original parts.) Only two owners and low mileage of 51,007.